In 2017, Avi stepped away from creating after years of rushing from stadium to stadium at a frenzied pace––an experience he calls “beautiful,” but one that also left him physically and artistically depleted. Since returning to music on his own terms, the songs have poured out of him, ready for foot-stomping music halls and serious listening rooms alike. He has also liberated his vocals, once so famously known as the perfect power-bass, to reveal a nuanced voice, rich, tender and abounding. Surrounded by forest and newfound artistic clarity, the result has yielded dozens and dozens of new songs. Reveling in the simplicity, “I get on my porch with my guitar, look at my trees, and write a song,” he says. 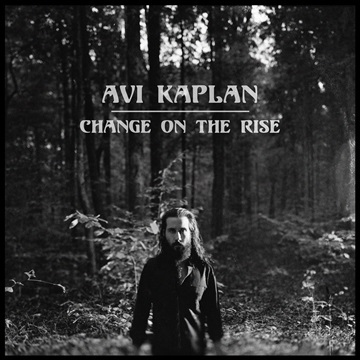 The songs Avi has always written and continues to write are timeless, earthy, and raw––roots music in its purest form. Avi attributes his deep connection to folk music and its authenticity to the natural environment he was surrounded by growing up. Raised just 40 minutes from Sequoia National Park, in the golden rolling hills of central California, “that music always felt right with what I was seeing,” the 29-year-old says.